You might eat well, exercise and get enough sleep, but for total health and wellness, there are certain appointments that you just shouldn’t miss. 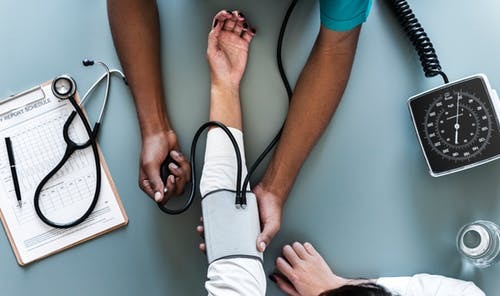 As fantastic as it is that you look after yourself, there are some things that only a professional can spot, and going for your checkups allows problems to be caught and treated as early as possible. Here are just a few health appointments you shouldn’t be skipping. Most people should get their eyes tested every two years to check for vision problems and other issues with the eyes. If you wear glasses or lenses, you will probably have to go more often. Since eye issues can be slow and subtle to start, early detection allows the optician to put them right as soon as possible. If you notice any changes in your sight, it goes without saying that they should be checked out right away. It recommended that you visit the dentist every six months for a checkup. It’s important to do so since in the early stages of tooth decay and other issues it’s far easier, cheaper and less painful to treat. When problems are left to go on for a while, you risk tooth abscesses, gum disease (which can lead to tooth loss) root canal work needing to be done and full extractions. Sometimes things can be unavoidable and land you in the dentist er- a cracked tooth from eating something hard, an injury leading to a chip or break or sudden onset of tooth pain for example. But if you keep up with your twice yearly checkups you give yourself a much better chance of keeping a healthy mouth. An annual checkup at the GP might seem like a bit of a nuisance if you generally feel fit and well, but it’s so worth attending. It gives them chance to check your weight, blood pressure, and consider any updates to the medication you’re on. If you need to have any cancer screenings based on your age and gender, it gives you chance to discuss these and book in an appointment.It means any problems are likely to get picked up on early on and you can get treated as soon as possible. Otherwise, it’s just good to get peace of mind and to know you have a clean bill of health. Before committing to unprotected sexual contact with a new partner, it makes sense for both of you to be tested. This just ensures everything is as it should be and if any STIs are found they can be treated before they’re transmitted to the other partner. If you’ve experienced a burst condom, have any unexplained symptoms or an ex-partner has contacted you with some bad news, you should always go and follow this up with a full screening. Since many sexually transmitted diseases are symptomless, they can be easy to miss. However they can wreak havoc on your health and can be passed to others, so know when you need to go and get checked out.